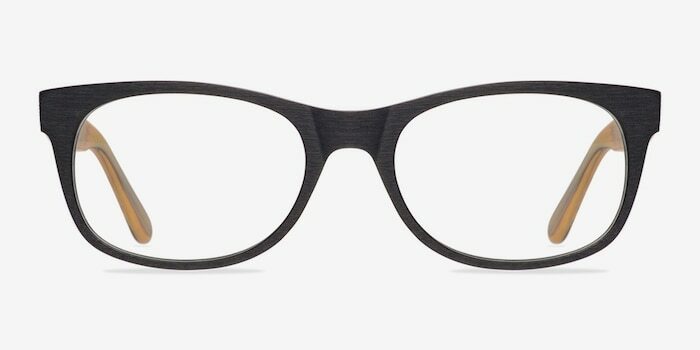 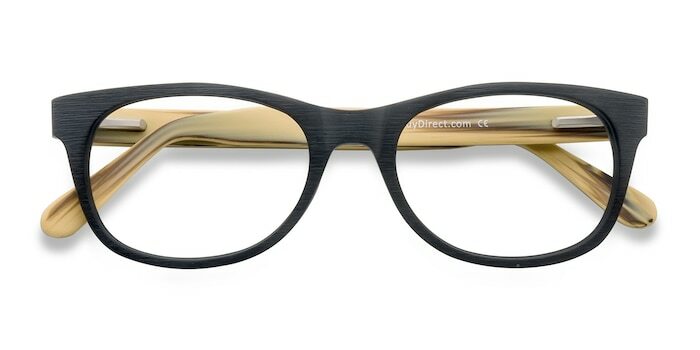 These black eyeglasses are uniquely captivating and cool. 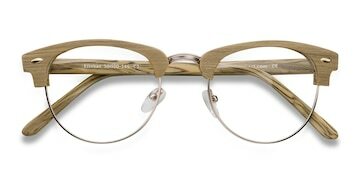 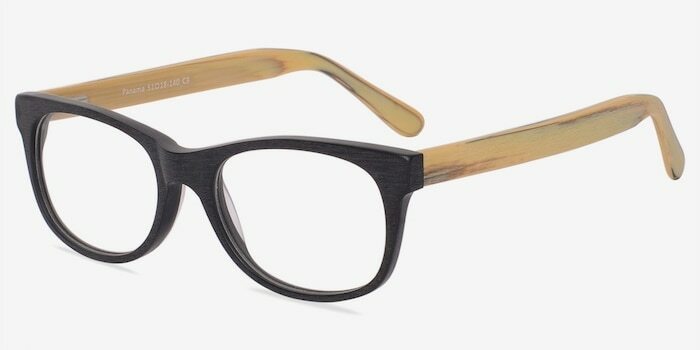 The classic wayfarer style is given a makeover with the fusion of wood and plastic materials. 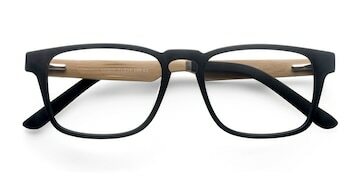 The artificial wood frame front is solid black while the plastic temples have a glossy striated wood like finish. 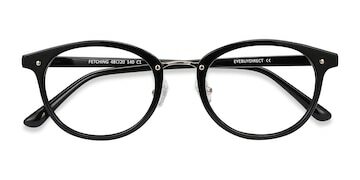 Flexible spring hinges offsets the durable rigidity.